You know me. I’m usually on a health kick—carrots are the new chips, Yoga’s for everyone–you’ve even seen me hugging a water bottle. But forget all that…let’s talk about absinthe! Now I think of beer as my steady even though I engage in the occasional red wine flirtation. 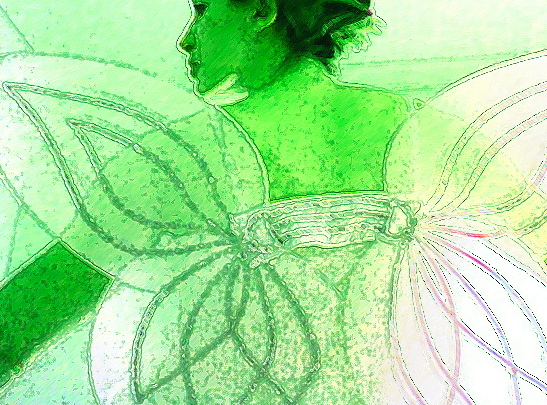 By no means am I an expert on absinthe, but I have always been intrigued by the Green Fairy. Haven’t we all? For my second novel, Everything’s Not Bigger, Prague served as a primary setting. “Absinthe Trepidation” is one of the chapter titles. When I was studying abroad in Germany many summers ago, a visit to the City of a Hundred Spires was imperative. If you’re ever stumbled over my last name “Skrabanek”, know you are one of many, and you have my Czech heritage to blame for it. In elementary school, my principal called me “Brittney S.” during awards assemblies, because he just gave up. An easy pronunciation trick—it sounds similar to “bubonic” as in Bubonic Plague. Forevermore may you remember me when you think of a catastrophic illness. Wait…please don’t do that. Furthermore, Eastern Europe was one of my areas of concentration in college. And one of my professors said he would only give a recommendation for my study abroad application if I swore to go to Prague. He called me “the proud daughter of the Czech Republic” in class all the time. So, I went. Prague is certainly one of the most enchanting cities in the world. Miraculously unscathed during World War II, it boasts historic wonders like you wouldn’t believe. Back in 2004, absinthe was illegal in a good portion of the world. As such, it was heavily marketed to curious American tourists like myself visiting the Czech Republic. Too apprehensive to drink it on my own, my fiance (present day hubby) and I had the bright idea to smuggle it back to the States in a Listerine bottle, so we could try it together. I know, I know. Bad, Britt! I sweated bullets at Stuttgart Airport security, believe me. I’m one of those people who often gets caught, but it doesn’t always stop me from participating in crazy shenanigans. But, I made it home with the forbidden loot. Even though I had washed out the mouth wash bottle a thousand times, the absinthe and spearmint had morphed into one. Needless to say, trying a shot was deeply unpleasant. We knew nothing about the rituals of absinthe preparation. Now I am aware of the calculated art to drinking the beverage…and we absolutely disgraced it. Hey, we were pups! Knowing my shameful stint wasn’t much to work with, I decided to do some book research on the drink by watching Absinthe the documentary. Automatically absinthe stirs the imagination, embedding visions of mad painters and conniving fairies dancing in circles with bulging, iridescent eyes. Lo and behold that’s all a bunch of boohockey—early twentieth century propaganda. It was a formidable scheme cooked up by the green drink’s competitors of the time–the wine and beer merchants whose businesses had floundered during absinthe’s peak. I’m mesmerized by the care absinthe lovers show to the rebellious drink, appreciating it for its rarity. More than anything, I applaud absinthe for its sustainability against all the odds, resurrecting after bans, enticing still to this day. Absinthe has been said to bring out one’s inner poet. I think it carries a romantic notion, a feeling of the past when Bohemian artists created zealously and lived with abandon. There is no other drink quite as controversial or mysterious. Even though the myths have been widely debunked, I think the elusiveness will continue for centuries to come. What about you readers out there…have you tried absinthe? I adore Edgar…naturally. 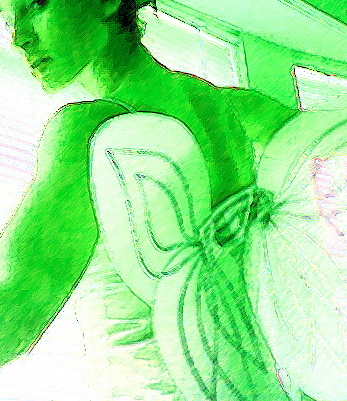 I must have been thinking of him during my green fairy tinkering with Photoshop. LOL on the Fairy Liquid. I obviously did not enjoy the taste…it didn’t help with the spearmint infusion either. I’m game to try absinthe again with a nice bottle, and served properly. Then, I’ll make an informed decision. I agree that it must be an acquired taste. Sneaking absinthe in a Listerine bottle! You sound like a character in a novel, that’s too funny!